Look at these muscles! Our volunteers are real troopers. 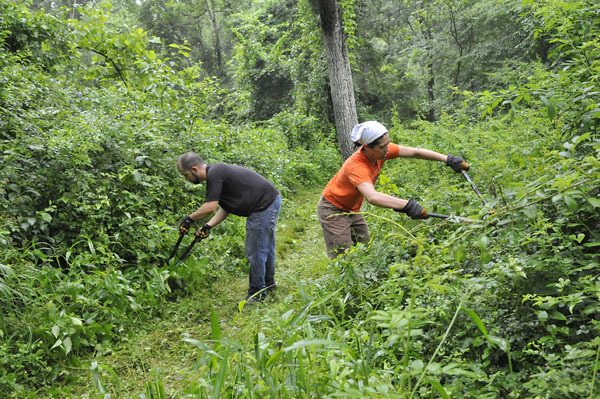 Despite rain showers, these Second Saturday attendees blew threw thick vegetation to clear the Rivanna Trail along Meadow Creek near the John Warner / Meadowcreek Parkway. Thank you, all! Try holding your arms in this position for two hours!